Today, October 22nd only, head over to Zulily and score this Melissa and Doug Countdown to Christmas Advent Calendar for just $11.99 shipped (Retail $20). 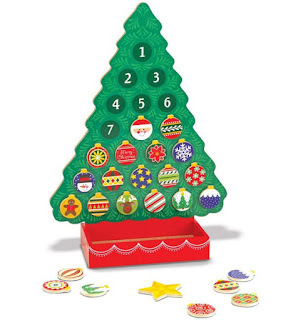 This countdown calendar includes 24 magnetic ornaments to help count down the days to Christmas. It has a magnetic star for the top of the tree and the base acts as a storage area for when the ornaments are not in use!